Lusiksiki and Bambisana overjoyed about their new ‘umfundisi’, Zukile Bloro. URCSA Cape Regional Synod is concerned about the candidates for the ministry that have not yet been called to congregations. Therefore URCSA Cape’s three core ministries have been requested to discuss this issue and draw up a plan in order to support congregations and presbyteries to call these candidates. 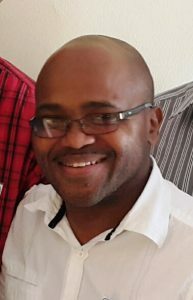 The plan has not yet come into effect, but Witness Ministry has already decided to support the congregations of Lusikisiki and Bambisana in combination to help with the appointment of Zukile Bloro that will be ordained this Saturday as their new pastor. Lusikisiki is in the middle of Pondoland (Transkei) and has six outposts with 500 members and Bambisana has four ouposts with 200 members. Rev. Bloro will stay at the parsonage in Lusikisiki. His work will entail the general responsibilities of a pastor but this is a calling with huge challenges. He has to build up congregations who were without a pastor for many years. It is also an area where there are still many unreached people, especially young people in dozens of schools. These challenges provide ample opportunities, also in the broader presbytery. We pray for God’s abundant blessing in this challenging ministry.